I think it is important for parents to understand it is not only the learning disability that causes problems but also the anxiety and paralysis that compounds the learning disability. Acting defiant may be a way of protecting oneself from the fear of failure, and it is good if parents can recognize those signs in their children. I think I was 6 years old when I realized I was different. I tried harder than anyone else to please, but I could not spell words or learn how to put letters together to read. How do you not to feel stupid when everyone else is learning something that you can't grasp at the same pace? The shame of not being able to read out loud without stuttering or misspelling something on the blackboard in front of the class was almost unbearable. The fear of being called on by the teacher was paralyzing and made me act out and have panic attacks. My math teacher berated me because she thought I was being careless when I accidentally reversed numbers. I spent countless hours with frustrated but well-meaning adults who wanted to help me but just thought I wasn't trying hard enough. All of these experiences sent me the message that I was not good enough. Being different as a child is not an easy thing, and it can scar your self-esteem for a lifetime. I think that the compounding effect is that you feel ashamed about it and so your anxiety about trying to do something makes having the disability even harder. While many people struggle with the diagnosis of a learning disability, I think parents of children with learning disabilities might have an even bigger challenge addressing the psychological effects of it. As a parent it is important to really talk to your child and address what is happening. According to pediatric neuropsychologist at UCLA, Sandra Loo, PhD, the first step for any parent who has a child with learning difficulties is to get the right diagnosis. Getting an early diagnosis will help your child get the proper interventions and also accommodations like extra time in school. It's a good idea to get a complete evaluation because many children have more than one learning disability -- around 25 percent of children with Dyslexia also have ADHD. Another way of addressing what is happening is by discussing your own areas where you feel inadequate in order to make it easier for your child to share his or her problems. Sharing my struggles about my disability with my kids has encouraged them to share not only a good grade but also the inevitable challenges of trying to perform in school. 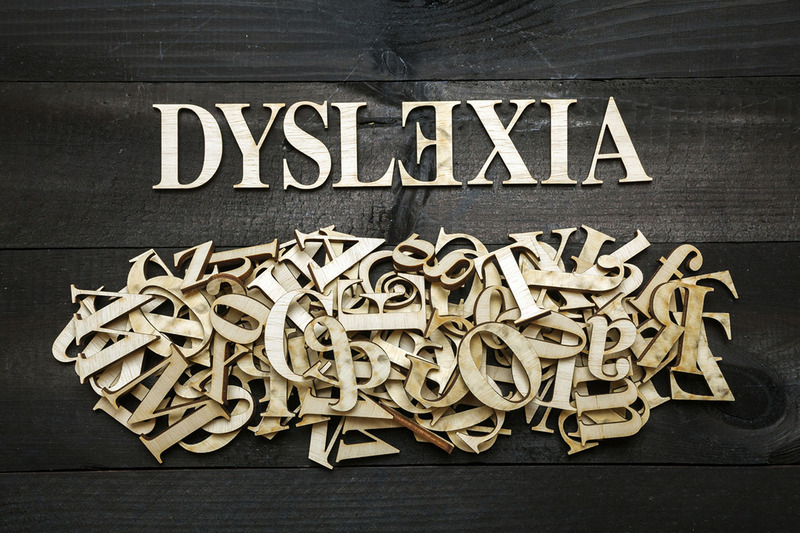 Most people with learning disabilities like Dyslexia have a hard time doing well in school, but they often are successful post-education. Dyslexia/ADD specialist and leader of Renaissance Mind learning facility, Angela Gonzales, MD, explains that often the traditional academic environment does not suit a non-traditional learner, but children with learning disabilities have a style of thinking that is a gift later on in life. She says, "These are highly visual, spatial, and conceptual learners that have the ability to distort perception and perceive it as reality. That's a problem in school, but in the real world, this style of thinking allows you to be a Lego builder extraordinaire. It allows you to be an artist. As you get older, it allows you to be the best architect, movie producer, musician, actor you can be." While parents need to have realistic expectations about what their child can accomplish in school, they also need make an effort to understand the different ways their child processes information and appreciate that their child who is struggling with academics is actually a gifted and capable individual with an incredible imagination. As Einstein said, "Imagination is more important than knowledge." Communicating this way of thinking with your child may take some of the pressure off and make school bearable. Finding people who have faced the same struggles as your child may also be helpful in working through a disability. For me, it has been helpful recognizing that there are other Dyslexic entrepreneurs like Ingvar Kamprad, founder of Ikea, Paul Orfala, founder of Kinko's, David Neeleman, founder of JetBlue, Charles Schwab, Tommy Hilfiger, and Ben Foss of Intel. Having a role model is important, and if your child has the opportunity to know that there are other people out there facing the same challenges, he or she will feel less alone and know they can succeed. For years I tried to hide my learning disability because I didn't want it to define me, and maybe I was still ashamed. Many parents have to deal with this seesaw. On the one hand you want to help your child create a positive label for being different, but on the other hand you do not want that label to solely define your child. Once you begin being labeled as just "John with ADD" or "Jane with Dyslexia," it increases the shame and fear of being different. Even for those who have learned to embrace their learning disability, it is always difficult and hurtful to be labeled by others. How a child sees his or her disability is dependent on how that disability is explained and communicated by family members. Harvard-trained child and adult psychiatrist and ADHD Specialist, Edward Hallowell, explains the importance of framing learning disabilities in a positive way and communicating with your child that he or she is not so much "disabled" as "different". Parents need to be sensitive to the fact that kids may not want to defined as different all of the time and give their kids an opportunity to be defined by other achievements. A way of doing this is to help your child find at least one other activity in which he or she can excel. That activity may be drawing or music or sports. Whatever it is, helping your child recognize that he or she has both strengths and weaknesses makes life easier. It also gives children the opportunity to see themselves as more than their disability and more than a label. I think it is important for parents to understand it is not only the learning disability that causes problems but also the anxiety and paralysis that compounds the learning disability. Acting defiant may be a way of protecting oneself from the fear of failure, and it is good if parents can recognize those signs in their children. Even today as I go into the doctor's office and have to fill out a form with no spellcheck or person there to correct my spelling, I can feel that same childhood panic attack and sweat coming down my back, and this is after years of openly talking about my Dyslexia. Ultimately, I have found ways to work through my disability, and parents should know that, with the proper help, their kids will as well. In the words of clinical neuropsychologist and faculty of Harvard Medical School, Jerome Schultz, PhD, "If we're starting with a base of failure and fear and frustration it's hard to build anything on that foundation. So we really have to turn this cycle around and it's quite possible to do." There are many studies proving that children with learning disabilities can overcome adversity, and this could be the reason why so many Dyslexic people and others with learning disabilities end up excelling and being entrepreneurs.